SKU: 9. Tags: large scale odour control, ozone generator, sanitisation, severe odours. Introducing the Pro 16 Ozone Generator; a revolutionary ozone generator that effectively cleans without chemicals. 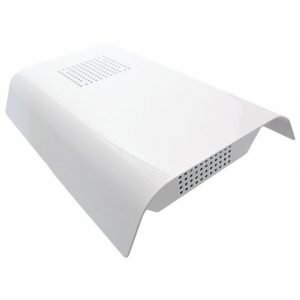 The Pro 16 Ozone Generator harnesses the natural sterilising powers of Ozone to provide safe, efficient and effective sanitation. 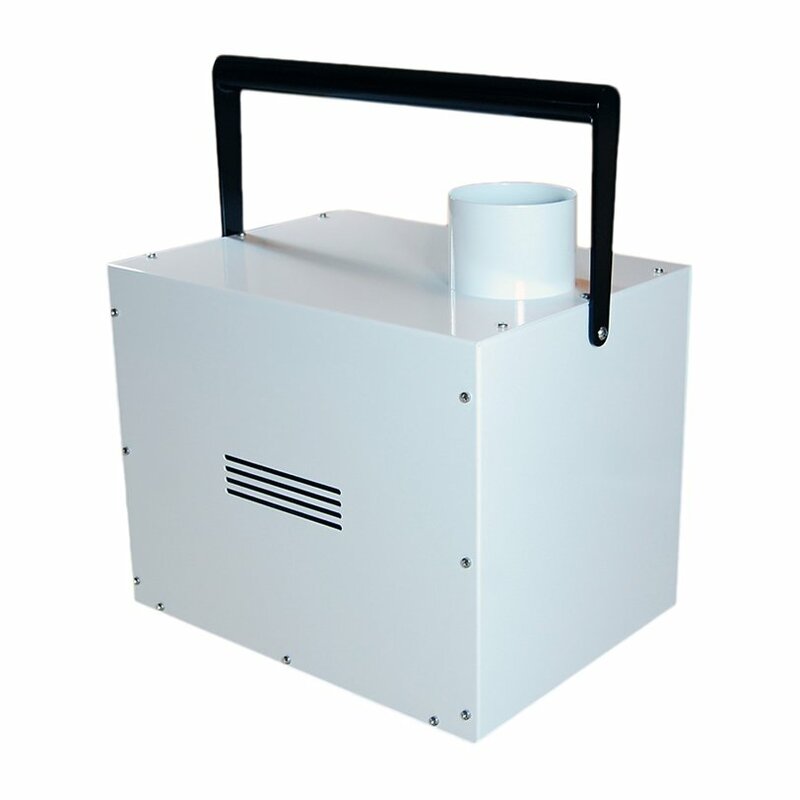 Designed to facilitate rapid odour control, air and surface sanitation in multiple environments, the Pro 16 Ozone Generator is a high specification, feature rich ozone generator. 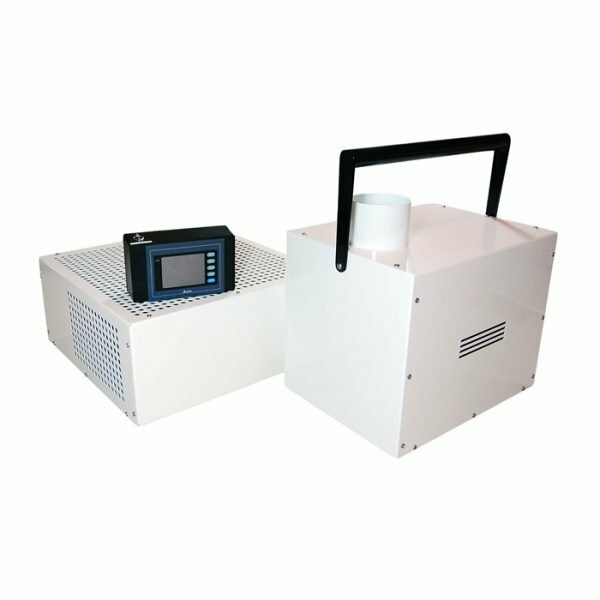 The Pro 16 Ozone Generator can generate and then remove biocidal Ozone within incredibly short timescales, rapidly forcing Ozone levels back down below the required HSE safety limits. 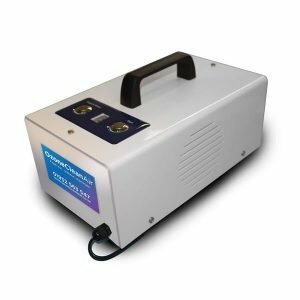 Designed with the ultimate regard for Health & Safety, the Pro 16 Ozone Generator boasts a range of unique features to maximise functionality and minimise risk. 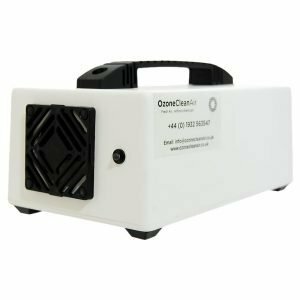 The Pro 16 Ozone Generator is suited to any application where odour removal and hygiene standards are of importance, and for organisations looking to reduce the chemical cost, labour requirement and environmental footprint of their sanitisation processes. The Pro 16 Ozone Generator is fully operable from outside the area being treated utilising a remote control panel. The remote control panel indicates when Ozone is being produced, destroyed and when the area is safe for reoccupation. Remote operation is an extremely important safety feature that not only provides access to information; it enables operators to retain control of the machinery during the cycle. With other Ozone generators, a treatment cycle cannot be safely stopped once it has started. The only way to stop the process is to cut the power supply and then wait until the area becomes safe for reoccupation, which can sometimes take many hours. With the Pro 16 Ozone Generator, operators can rapidly destroy any unwanted ozone at the touch of a button. Our unique Emergency Stop feature allows operators to remotely switch to the Ozone destruct cycle at any time during Ozone production. This feature addresses the inherent safety issues raised when using an oxidising gas. In the event that a problem did occur, ozone can be removed in the fastest possible timescale. By ensuring operators retain control in this manner, any risk is effectively minimised. The Pro 16 Ozone Generator also has the added feature of an ozone destruct-only cycle, providing operators with additional ozone destruct capability. The Pro 16 Ozone Generator is fully time programmable. Treatment cycle times can vary extensively as both ozone production and its efficacy can be affected by a wide range of factors. The Pro 16 Ozone Generator operator’s manual discusses these factors and provides information and guidelines on suggested treatment timescales. Multi mode operation allows operators even more control over the ozonation process. In Basic Mode, operators can input the desired ozone production time and the Pro 16 Ozone Generator will automatically calculate the destruct time required. In Advanced Mode, operators can manually input their required ozone production, dwell time (gap between production and destruct cycles) and ozone destruct timings allowing complete control over the process. Some applications may require a longer countdown before beginning the process; some require an audible safety alarm whilst others require quiet discretion. The Pro 16 Ozone Generator allows complete control over these features. All machines are also equipped with inbuilt diagnostic safety features that first remove any residual ozone from the area, and then tell operators what has gone wrong.